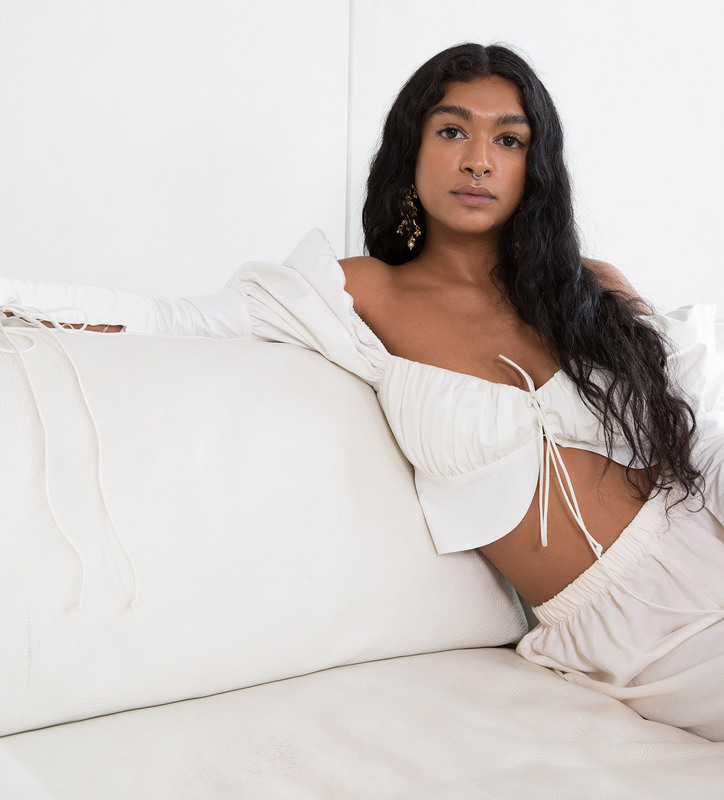 If this seemingly never-ending winter has you doubtful that spring will ever fully arrive, New York-based R&B singer Raveena Aurora is here with a brand-new music video for her latest song, “Honey,” to transport you to a place of warmth, love, and the blossoming potential of a new season. Scrolling through Raveena’s Instagram feed feels like entering a tranquil universe decorated with healing crystals, bursts of flower bouquets, and dreamy self-portraits paired with candid captions that invite you into her mindset. Cue her soulful music to catch Raveena opening up about living with anxiety, overcoming panic attacks, empowering women, and her current journey to loving herself. 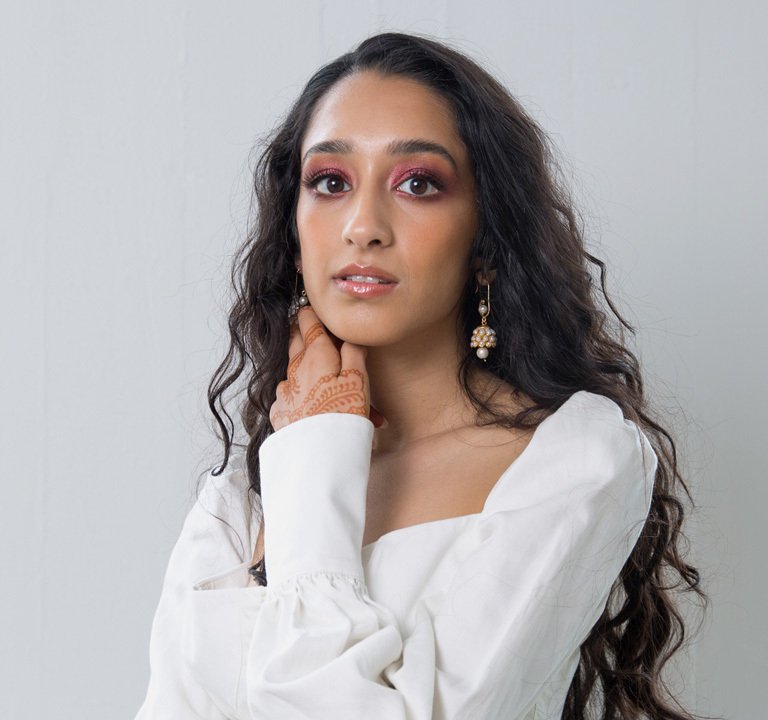 In her new video, out on May 2nd, Raveena called upon some of the friends she’s connected with on social media to create a stunningly hypnotic scene, featuring people of color in ultra-romantic montages (a few of the couples are in IRL relationships). “There isn’t enough representation of LGBTQ couples and people of color. I wanted to show them in an absolutely beautiful, sensual, feminine light. In American media right now, South Asian people especially don’t have a huge voice or aren’t seen in this way,” she explains of the enchanting visuals. The cast includes: Raveena, Nali, Dylan, Jordan, Priya, Harshvardhan, Has, Simran, Lee, and Vish. And they’re all wearing Milk Makeup (Milk + “Honey” is a great combo). We caught up with Simran, Lee, and Vish to chat about how they linked up with Raveena, their favorite examples of love, and how they practice self-care. Catch the full “Honey” music video Raveena co-directed with Weird Life Films on May 2nd. *Raveena wears Milk Makeup Sunshine Oil massaged into her skin, Blur Stick applied on the center of her face to smooth and prep, Liquid Strobe in Beam to highlight her cheekbones, cupid’s bow, inner corners of her eyes, and Gold Foil Face Gloss on her lips. “One that comes to mind is the show Insecure. I don’t know if it’s a relationship in the typical sense, but I think the show depicts the dynamic of how people change before, after, and during relationships. Especially with Issa and Lawrence, and how Lawrence acted after the relationship. I feel like that was so true regarding how men can be. “I get asked about my skin a lot, and I’m not sure why! It’s not amazing. I do have quite a specific skincare routine, but it does actually change. I think for my skin, the one thing that stays constant is that I try to use natural and cruelty-free brands. like Origins, or local products from London. For my beauty routine, I’m always open to changing. For me right now, I’m not so much into specific products, but more looks. I’m more into bold moments like green eyeshadows, glossy lids, fake freckles, or green lipsticks. *Simran wears Milk Makeup Sunshine Oil to prep her skin, Luminous Blur Stick applied to the center of her face and buffed out for lit-from-within smoothing, Liquid Strobe in Beam all over her eyes, and Gold Foil Face Gloss on her lips. *Lee wears Milk Makeup Sunshine Oil massaged all over her face and neck, Liquid Strobe in Beam on the inner corners of her eyes and to highlight her on face, Eye Vinyl on her lids, and Face Gloss applied to her lips and on the high points of her face. “I got married a year and a half ago, so me and my wife are just living, and everything’s so happy, and it’s just an amazing thing. Marriage goes a long way, just getting to know your partner and the ins and outs. The little things matter the most, especially if you’re living together. There are so many new things I learned — you know, before marriage you only worry about yourself, and then you start worrying about the other person more than yourself, little things like that. You just start caring more and more. *Vish wears Milk Makeup Sunshine Oil all over his face and body, Blur Stick to smooth, Face Gloss applied to his cheekbones, and a touch of Liquid Strobe in Beam.